Do you have a New Year’s resolution of getting more involved on campus, or is being in your dorm all day not ideal? 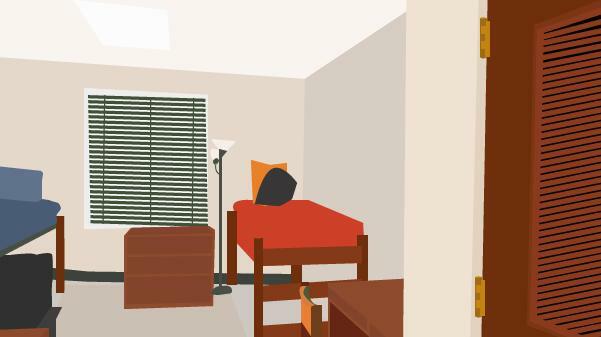 Whatever the reason may be, here are five reasons why you should get out of your dorm for the first week of the semester. Every semester, CAB has a week full of fun activities to welcome returning students, and first-timers, to campus. This semester’s Welcome Back Week includes skating, laser tag, and more. For more information, check the Weekly Roar or InvolveU. Join Alpha Psi Omega for one of its most popular events of the year, where members have only 24 hours to write, cast, direct and perform six original scripts. You can either sign up to be a part of them or watch in the audience. For more information, visit Discover St. Charles’ website by clicking here. This museum features, you guessed it, telephones, from the 1990s to the 2000s while also showcasing telephone equipment, memorabilia and military telephones from World War II through the Vietnam War. For more information, visit the museum’s website by clicking here. The St. Louis Poetry Center’s Sunday poetry workshop will feature Allison Joseph, a professor of English and director of the MFA program in creative writing at Southern Illinois University at Carbondale. Joseph will be leading the workshops and providing critiques on a few pre-selected poems. The workshops are free and open to the public. For more information, click here. Lindenwood had a chance to defeat division-one opponent, Marquette University, when Jackson Price shot a 3-pointer as time expired. The ball hit the rim and nearly went in. Marquette escaped with a 81-79 win.